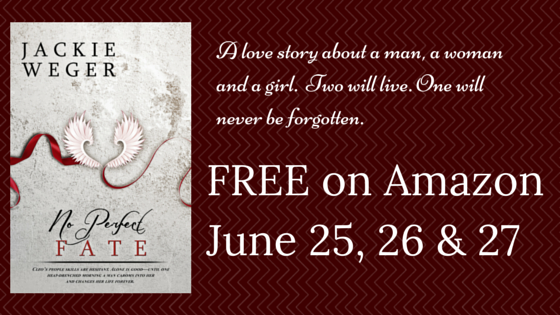 Jackie Weger's bestselling Romance, No Perfect Fate is FREE on Amazon on June 25, 26 & 27! Grab this must-read book while it is free, don't miss this chance to read Jackie's soulful writing and meet a new favourite author! Cleo Anderson’s people skills are hesitant and her life broken, yet she is determined to leave her past behind. Alone is good and she is finding her way. On a whim, she parks her Play-mor in a fish camp in the wilds of the Okefenokee Swamp, where gators yawn, bears slumber, and snakes slither. The camp pace is slow, the owner kind, and the people friendly. Cleo encounters Fletcher Freemont Maitland and his goddaughter, eleven year-old Katie. Cleo didn’t know her life was about to unravel yet again, her heart would shatter, and that Fletcher Maitland would help her mend. But Cleo is about to find these things out the hard way. Both Fletcher and Katie will change her life and if Cleo does not learn to accept that life is bountiful and fate imperfect, she will lose both forever. Jackie Weger has been writing novels for thirty years. She enjoys destination travel--going to new and strange places, meeting the natives, learning their customs, their foods, how they survive good times and bad. She lived part of one winter with trappers in the Louisiana Swamps, volunteered at a sister of Mercy Mission in Panama--and had one of the most interesting conversations in her life with an old man and his dog as they sat on a bench waiting for a train in the Village of Versailles. 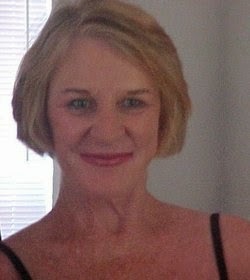 Jackie loves books, coffee, tea, cats, gossip and all things Southern.